My daughter has lost her favorite plush, and I am searching for it. 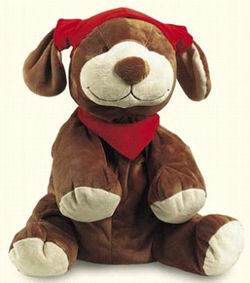 It’s a Noukies plush dog, brown with red cap, and it’s about 10 inches high. If you are still searching. ebay #360374461008 gold with blue accessories.